The dramatic surge in regional integration schemes over the past two decades has been one of the most important developments in world politics. Virtually all countries are now members of at least one regional grouping. South Asia is no exception to this trend. In December 1985, seven South Asian countries came together to establish South Asian Association for Regional Cooperation (SAARC) to address issues of peace and development in the region. 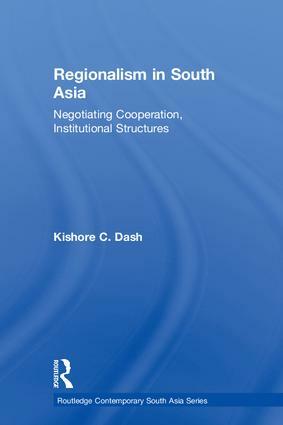 This book examines regionalism in South Asia, exploring the linkages between institutional structures, government capabilities, and domestic actors’ preferences to explain the dynamics of regional cooperation. It considers the formation and evolution of SAARC, explaining why its growth in terms of institutional developments and program implementation has remained modest and slow over the past two decades. It also addresses the impact of important issues such as the acquisition of nuclear capabilities by India and Pakistan, the unending conflicts in Kashmir, the war against global terror in Afghanistan, and India’s growing economy. Drawing on a wealth of empirical research, including elite interviews and trade transaction data, this book sheds new light on the main cooperation issues in South Asia today and provides important information on the trends and prospects for regional cooperation in future years.